Dehner GmbH & Co. KG has moved from Bull GCOS 7 to Open Source with COBOL-IT Software under the guidance of EasiRun Europa/TELEBIG. Cobol-it > Other COBOL > Dehner GmbH & Co. KG has moved from Bull GCOS 7 to Open Source with COBOL-IT Software under the guidance of EasiRun Europa/TELEBIG. EasiRun Europa GmbH(EE) and TELEBIG are pleased to announce the successful completion of the migration of the core business applications of the Dehner Gartencenter group, based in Rain am Lech. The COBOL applications, now running with the COBOL- IT Compiler Suite Enterprise Edition, were migrated from BULL GCOS 7 to LINUX. EE and TELEBIG have worked together in a strong partnership for over 25 years. The two organisations share the same vision regarding IT modernization efforts and solutions, and develop and share common technologies. 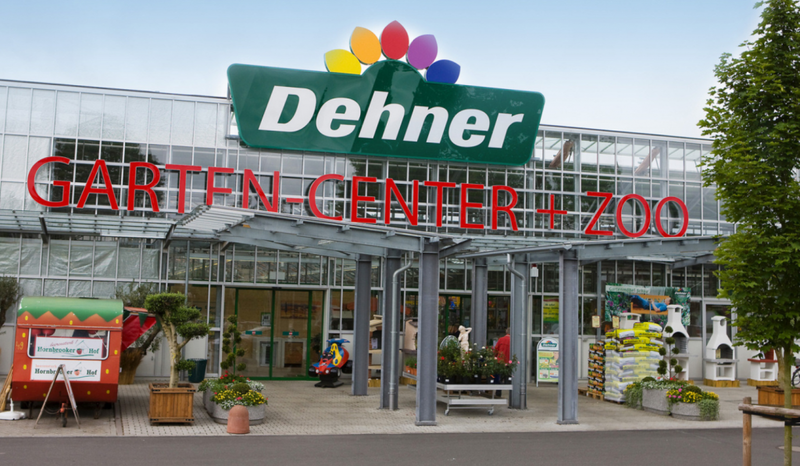 Dehner GmbH & Co. KG is market-leader in garden-centres in Eu- rope, with over 100 outlets in Germany and Austria, and with an online Shop at www.dehner.de. The sales channels are linked thru a multichannel strategy. Dehner employs over 5000 staff, with over 1000 employed at the head office in Rain. Dehner offers a comprehensive selection of products for all aspects of gardening and gardens. The sale of agricultural seed, pesticides, the produc- tion of food for domestic animals & winter birdfood, as well as fer- tilizers are further areas of competence of the company. Dehner‘s business ERP application was developed internally in over 30 years, with continuous ongoing development to meet the needs of the market, the growing activities of Dehner and the corresponding constantly changing requirements. The challenge of the project was in the relocation and rehosting of the applica- tion from the BULL mainframe platform under GCOS7 to a LINUX based operating environment. The scope of the project included over 4.000 COBOL programs (online and batch), over 3000 Jobs, and 650 data files. The new operating environment was selected to be SUSE SLES/11, and the Database ORACLE and c-tree. During the project a code-freeze was not possible, so the continuous business requirements modifi- cations were also migrated on an ongoing basis, increasing the scope of the project substantially. The Decision to use the EasiRun Europa/TELEBIG solution with COBOL-IT. At the end of 2010, Dehner decided to migrate their application and issued a request for proposals, to which all of the major infra- structure suppliers and system integrators responded. COBOL-IT is a Partner with EasiRun Europa, TELEBIG, and HTWC. Each of these teams has refined their Migration Tools for use with the COBOL-IT Compiler Suite Enterprise Edition. Years of collabora- tion between the technical teams have created the highest level of confidence and responsiveness possible. All of these factors proved critical in successfully migrating Dehner’s COBOL applica- tions in the quickest possible timeframe. The primary task of TELEBIG lay is the migration of the programs, data, screens and jobs, while EE concentrated on the compre- hensive functional and regression testing, the implementation and deployment of all aspects of the application in the LINUX en- vironment, as well as the training of the development and opera- tions team at Dehner in the use of the COBOL-IT Compiler Suite and Utilities. Dehner defined the integration platforms, and implemented the infrastructure. Dehner also managed the overall deployment process and their integration into the other deployment pro- cesses. Furthermore, Dehner verified the converted application with respect to functional correctness, performance and usability in tests involving users from all user groups. The results achieved and status of the solution met Dehner‘s ex- pectations. In particular, the performance requirements defined could be met successfully. The structure of the migrated applica- tion offers large potential for iterative and successive improvements in the use of the new technology, performance optimisa- tion and the use of other modern technologies, without impac- ting on the core business logic of the application. After a series of intensive dry-run tests for a go-liveimplementa- tion, which took place during October and December of 2013, the final go-live took place on the weekend of the 21-23 of De- cember 2013. The conversion of the systems was well received by all involved parties and had no negative impact on the users or developers during the go-.live as well as no negative impact after the go-live.